How does the idea of making £500 per month sound to you? Pretty good, eh? Of course, it would be even better if you could earn this amount with less effort. You may have seen promises of being able to earn easy money elsewhere. Your first instinct is probably to have some serious doubts. This is a healthy attitude to have, as many offers of this type are to be avoided. Some are scams while others simply aren’t as effective as they are made out to be. However, the £500 per month club definitely isn’t one of them. This is a tried and tested approach that you can trust to make you money. I won’t make any wild claims about it either. This isn’t a way of becoming a millionaire in a month or a year. You also can’t expect to make money without some sort of effort. I’ll start the guide with a customary disclaimer. This is my opinion on the easiest way to earn an estimated £500 per month from Matched Betting. You will have to put some effort in to achieve results. 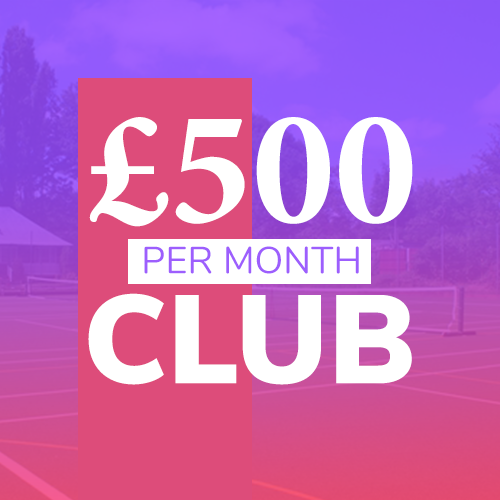 So, what is the aim of the £500 per month club then? Quite simply, it is to make this amount of money each and every month with less than 5 hours per weeks work. For most of us, it is a very tidy tax free sum to earn each month. No matter what your finances are like, this can make a pleasant addition to your income. You are sure to have your own goals and dreams. This is just some extra income that could help you to achieve them more easily. A good starting point to think about what you would do with this extra money. It might make the difference that lets you travel more. Or eat out more often. Or save up quicker for a new car or home. Perhaps you have some debts that you are keen to pay off? Maybe you would just like some extra breathing space each month. £500 on its own isn’t the sort of sum that will change your life. Yet, when you earn it each month, it can change your outlook on life. 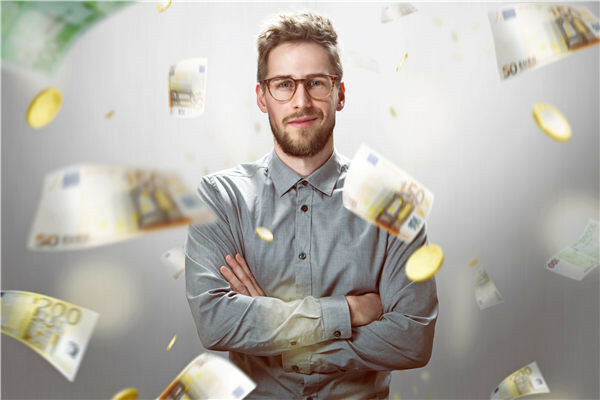 Knowing that this cash is waiting to be earned can give you a lot of financial freedom. Not only that, it is also about finding the best way of making money. This isn’t a process that is going to eat up all your time. You aren’t going to be pulling your hair out in frustration, either. You don’t need to spend ages learning hugely complex new skills. With a little bit of effort you will soon be up and running. Basically, I want you to spend as little time as possible on this. There is little point in earning £500 if it takes you 100s of hours to reach this figure. Instead, you want to do it in a way that makes sense. Following an easy, repeatable process lets you add it smoothly into your existing lifestyle and commitments. You should also make money in the easiest and lowest risk ways. You don’t want to risk losing your bank at any time. This isn’t like gambling in that you could lose your shirt if it goes wrong. You aren’t taking a chance on a hunch or a tip when you do this. Instead, it is a safer and controlled way of making money. Using repetitive offers lets you do this in a fast, reliable way every time. What if your bookie accounts are gubbed, though? Thankfully, this doesn’t stop you from joining in. You can still make an estimated £100 a month with this approach. The reason that this figure is lower is that not every offer can be used on a gubbed account. However, you can certainly still make money month after month. This lower risk approach makes it a system that is suitable to far more people. Even if you are naturally risk-adverse, there is nothing to fear. Do it right and you will end up with a handsome profit. When you earn your first profit, you are sure to be delighted. At this point, you will probably start thinking of the future. Is this something you can rely on earning each month? In other words, is exactly the same approach going to work forever? Could you now plan your future retirement based on up to £500 coming in each month? This would certainly be a fantastic way to look forward to the future. The truth is that is won’t and you can’t use this system for the rest of your life. At some point these offers will stop working. What will you do then? Quite simply, you will want to switch to a new approach. The offers that are perfect for you just now won’t always work. This is about seizing the moment and making hay while the sun shines. These opportunities are out there for you right now. That doesn’t mean that they will always exist, though. You need to constantly evolve with Matched Betting. The same basic approach might not change over the months. Yet, the exact method needs to change with the times. If you stick to the same strategy too long you will eventually come unstuck. For instance, if I wrote a similar system in 6 months’ time will it be the same? No, it will be different because the offers won’t be the same. They change all the change. So your strategy has to change as well. This is something to look forward to rather fear. The fact that you adapt and evolve keeps your betting exciting. Rather than always doing the same thing over and over, you get to do something fresh after a while. Bookmaker offers change all the time. If you keeping on doing the same thing then it will stop working one day. For a start, the bookies get wise to what smart bettors are doing. They are looking to bring in new and more enticing deals. It is a hugely competitive industry, after all. Bookies know that people are tempted by fresh new offers. So they keep on producing new deals for their members to enjoy. The key is in taking advantage of what is currently available. Once it stops working you move on. Keep doing this and changing every time that you need to. This will help you to carry on making money over the longer term. On the other hand, if you don’t adapt you will get left behind and stop making money. There is no guarantee about how long each offer or strategy will work. It might be a few weeks. It might be a few months. Or you might get a lot more out of it. You just need to be prepared to adapt at the right time. Is It Suitable for Newbies? Is this something that anyone can get started on easily? 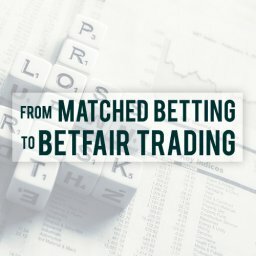 What if you are completely new to this sort of betting method? It is easy to feel worried about starting something new like this. Might you make a mistake an end up losing money instead of making it? The good news is that it is suitable for newbies. It is simple enough that you can get going with complete confidence. You don’t need to be a betting expert. Neither do you need to be a huge sports fan. This is a terrific way to start earning regularly from bookies for the first time. You have nothing to fear when you first get started. You certainly don’t need to be an expert to do it. It is worth pointing out that it isn’t right for everyone, though. 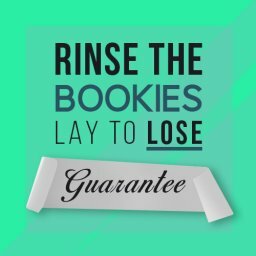 For example, what if you don’t have any matched betting experience at all? In that case, you need to gain some experience first of all. I’d recommend completing Bonus Bagging which will give you enough experience to get started. There are easier ways to get started on matched betting. This means that you could build your experience steadily. You can then come back to this system and start to earn every month. Can I Make More Profit? £500 each month is a fantastic sum for most people. Just think how this new regular income could improve your lifestyle. Especially when you don’t need to spend a lot of time on earning it. Yet, what if you want to make even more profit? We all have different needs and wants. Maybe £500 isn’t enough to put a big smile on your face. 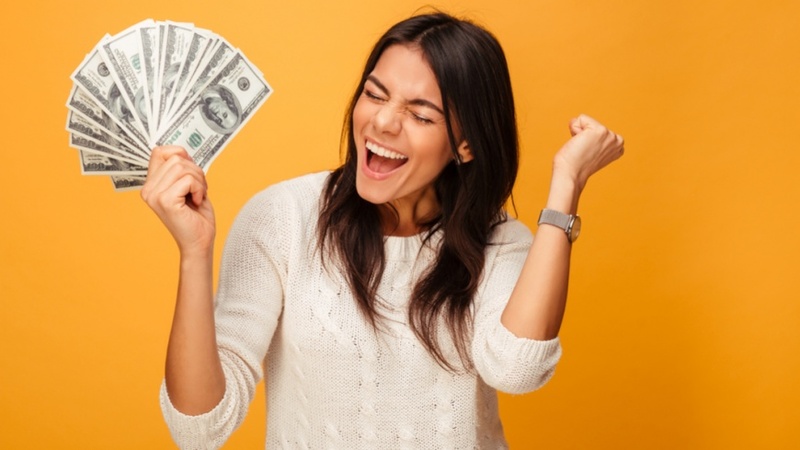 Could you earn more cash each month to keep you satisfied? This is definitely an option. I have written more details below on how you could go about this. You might like to try this once you are up and running. If you get £500 in the first month you can look to increase it in the second month. Of course, you can then also opt to carry out less betting whenever you want to. You may decide to take it easy some months. £500 a few months a year and bigger sums the rest of the time might suit you perfectly. Let’s take a look now at the current £500 per month club offers. These are the deals that you can use to build up your monthly profit. I’ll also list the strategy for taking advantage. Betfair Exchange run this offer daily. It does not matter if your Sportsbook account is banned. This can be completed with a gubbed account. The estimated value is £1 per race. You aren’t going to win every time, the advantage comes from placing lots of bets and letting the results average out. Betfair run this offer daily. There’s one featured race per day. On Saturday they do it on all races across 2 cards giving you 14 opportunities to win a £10 bonus. You can attempt this on each race. Monday – Friday + Sunday = 6 races. Saturday = 14 races. That’s a total of 20 per week. (20 races per week x average £1 profit) x 4 weeks = £80 profit per month. 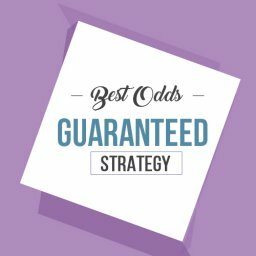 Strategy: Strategy is place a £10 back & lay qualifier (back with Betfair Exchange and lay with Smarkets) above odds 4.0 before the race starts. If your horses odds drop below 2.0 in-play and it loses the race, you will get a £10 cash refund. If the horse does not drop below odds 2.0 in-play, you will have a small qualifying bet loss. Gubbed accounts: If you’ve been banned by Betfair Sportsbook you can still do this offer as it’s on the Betfair Exchange. Every weekend William Hill runs a scratch of the day promotion. You can claim it both days and the offer is always bet £10 get £5 free sports promotion. It is available on both Saturday and Sunday. Here is an example from a last weekend. 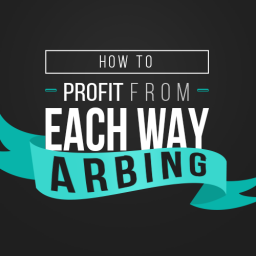 Using the correct strategy your expected profit roughly £4 per offer. 2 days per week x 4 weeks = £32 profit. Strategy: Place a £10 back & lay qualifying bet above odds 1.2. The free bet is credited instantly. Find a back & lay bet with odds above 4.0 and enter the bet type stake not returned on the calculator. Gubbed accounts: This offer works on gubbed accounts! Here’s a screen shot of my recent bets. 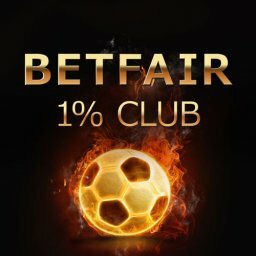 Many bookmakers do free bet clubs. Each week when you place a bet, they give you a free bonus to use. This is to encourage loyal customers to bet with them. All of these offers can be repeated weekly. £31 profit per week. This means £124 profit per month. Gubbed accounts: None of these offers work on gubbed accounts. Estimated profit: £160 a month based on completing it 4 times per week. The average profit is £10 per £100 you bet. 4 times per week x £10 profit x 4 weeks = £160 per month. Gubbed accounts: Unfortunately, this does not work on gubbed accounts. It only takes roughly 10 minutes per trade when you focus on races with not that many runners. Once per week Betfair Arcade run a bet £20 get a £5 bonus in the Arcade section. This is typically at the weekend. Paddy Power usually run a similar offer during the week under the casino section. Paddy Power Casino runs it on a Monday. The estimated value is £4. You can’t win every time with casino offers, however this is very low risk. You should use a minimum of 20p spins to minimise the variance. £4 profit x 4 weeks = £16 profit. Paddy Power offer is also worth £16 per month. £16 x 2 = £32 total profit per month. Strategy: Deposit £20 and turn over once (do 100 x 20p spins). Then the £5 bonus is credited automatically. Turn that over once (25 x 20p spins) and all the winnings from the bonus will go to your cash balance. Gubbed accounts: This does not work on gubbed accounts. Each week William Hill Games does a bet £10 get £5 free offer. This can be repeated daily from Monday – Sunday. They choose a different slot each week. Strategy: Deposit and do £10 worth of spins. Once you’ve done that, they will credit a £5 bonus. 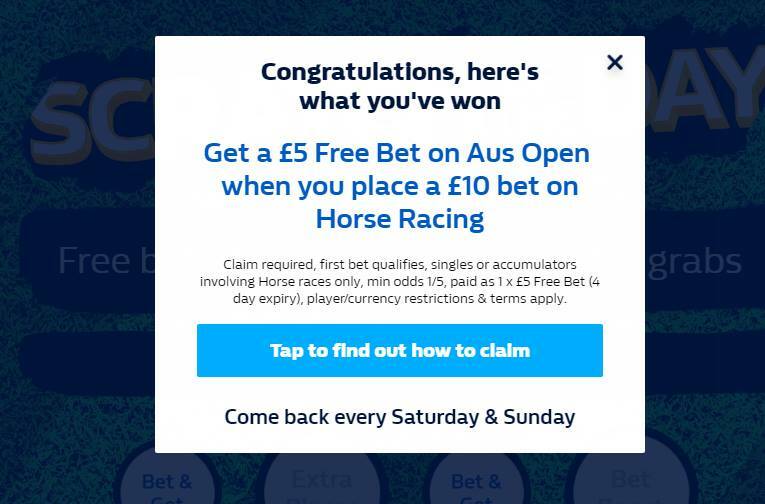 You need to place £150 worth of bets with the bonus money before withdrawing. I’d recommend 50p spins. The £150 of wagering only needs to be done with bonus money. The maximum win allowed from the bonus money is £100. With this offer you will bust the bonus most of the time. However keep on pushing forward and let the results average themselves out. The estimated value is £2.50. £2.50 x 30 days = £75 profit per month. There you have it. A few simple offers that can be repeated each week to give you an estimated £500 per month profit. I’m leaving out a lot of good offers that would increase the amount of money you can make. All of these are low risk. The time commitment is also very low. Once you understand what you are doing, this should take no longer than 4 – 5 hours a week which gives a decent hourly tax free rate of pay. As long as you see the plan through and don’t miss out any offers, you will do very well with the £500 per month plan. I mentioned earlier the idea of making bigger profits. If this is something that interests you then what do you need to know? I could start by pointing out that there are loads of other systems to look at. In fact, you can take your pick from hundreds of other betting systems. This gives you numerous ways to increase your profits. Take some time to find the one that is best for you. I’ve written about several free ones on here. This means that you can make a small fortune without even having to buy anything. You can boost your £500 without too much hassle. Of course, a lot depends upon how much time and effort you plan to put into it. Are you going to make this a full-time venture that you do every day? Or will you just spend a little bit of time on it a few times a week? The more time you put in the more you can earn. What is the best approach, then? I would suggest that you use Profit Maximiser. This helps you to put all of the pieces together very easily and shows you different strategies that can help increase your profits. This also gives you great software to use. You can find the right bets easily rather than searching for yourself. You also get access to a forum as well. This is a terrific place to discuss strategies with others and maybe discover new ideas. Once you start earning good money you will see how it makes sense. The £500 per month is your starting goal. But you can build from there. The sky is the limit when you find the right approach. Did you join my newsletter looking to make some extra cash? This is why most people join up. After all, who couldn’t do with some more money flowing into their account? Plenty of other people have joined recently and received rewards for it. However, none of them achieved profits without taking action. Every single member started off with high hopes. Those who achieved their objectives are the ones who made a modest effort. This is a free system to help get you going easily. 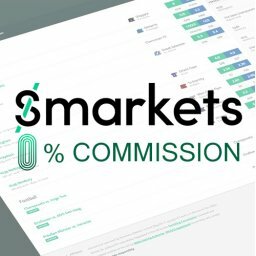 You can now start making money every month from now on. How will you choose to get started on this? Will today be the day that you take your future in your own hands? You need to take action for the money to start coming in. Nothing is going to happen until you make it happen. It all comes down to you from this moment on. You now know what to do and what results to expect from it. Once you get going there will be no stopping you. So, what are you waiting for? The next step is to make your first move. Thankfully, this is easy to do. It isn’t going to take you a huge effort to start doing this. Don’t let any more months go by without making the small effort needed to begin. Every month that passes by is another chance to make £500 that is lost. The sooner you get going the quicker that money goes into your bank account. The prospect of earning £500 each month is far too good for most people to turn down. No matter what your life is like, this could be a very useful extra income. This is a smart, sustainable way of boosting your income. If you have some matched betting experience then you can get started very easily. Then it will just be a question of working out whether to spend the £500 or save it every month. Great article Mike – I’ve shared it on my social media channels for you. 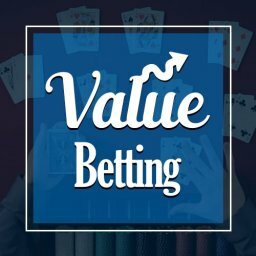 I’ve been doing £500 on average for the past 11 months from low-risk casino alone. I’ve found it to be a nice transition from the sports stuff without too much variance. I picked up your Insiders Club system last week and it’s already looking like a decent earner. Do you have any more new products in the works for us in 2019? Hi Dan, Thanks for sharing. I’d agree that casino bonuses and much more profitable than sports over the longer term. I find some clients don’t like losing so avoid them completely! Yes, I’ve nearly finished the next one. Hopefully will have it finished over the next few weeks. It’s different to the others, you will love it! Hope it’ll work for both UK and non UK resident? Hi, can you get banned/ gubbed from taking casino bonuses or is it just sports bonuses you get limited for? Hi Bobby, you can also get bonus banned with casino. They are high margin products which the bookies love. You get away with hammering their bonuses for a lot longer than sports. Hi Dan what kind of casino offers are you using? Hope the new product you’re about to launch is for everyone including non UK resident? Hi Joseph, This one will work for anybody. You don’t need to be a UK resident. Hills promos dont work on gubbed accounts. Not mine anyway. Hi Stuart, they do on mine. See the screen shots in the guide above. They also do for most people on the Profit Maximiser forum. £500 would be perfect for getting started. Thanks Mike!! Great reading cheers…! I get this: If you have been excluded (via email or otherwise) by Betfair from taking part in any promotions, you will not qualify for this promotion. Hi Clive, If you’ve been banned from the Betfair Sportsbook, you can still do this promotion. I’m banned from the sportsbook and have had plenty of refunds for the Exchange offer already. As for WH offer its a hit and miss, works on some gubbed accounts but not on others. I would recommend to check – if you get the “success” message upon opting in to the offer then you are in. This is a great article , practical and easy to implement on a busy schedule. You suggested using profitable free tips. Where can I get details. Hi Sean, betting tips aren’t guaranteed to make you any money. 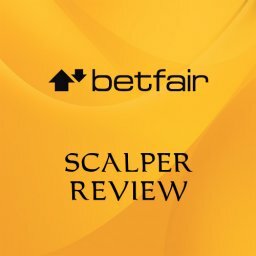 If you want them, Betfan or Betting Gods have good reputations. 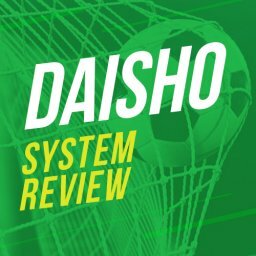 Thanks for this -full of really useful content again! Is the free bet club you talk about with Mansion Bet the Acca club? Only one I could see. Cheers. Hi Paul, Yes I mean the Mansion Acca Club! What would you consider to be an acceptable qualifying loss when you lay off your bet with Smarkets?… I only ask this because Smarkets doesn’t seem to have much liquidity until just before the off… Betfair ran the offer on 3 meetings today and I was lucky enough to get 4 refunds, with a very acceptable overall profit of £22… However, I was averaging a loss of about £1 for every lay bet I made… would you say a loss of £1 a race is about right? Btw… I’m excited to learn you’ve got a new product in the pipeline… especially so because I’m retiring in April and I’ll have a lot more time on my hands! Personally I always try and place bets within 1 tick of each other. 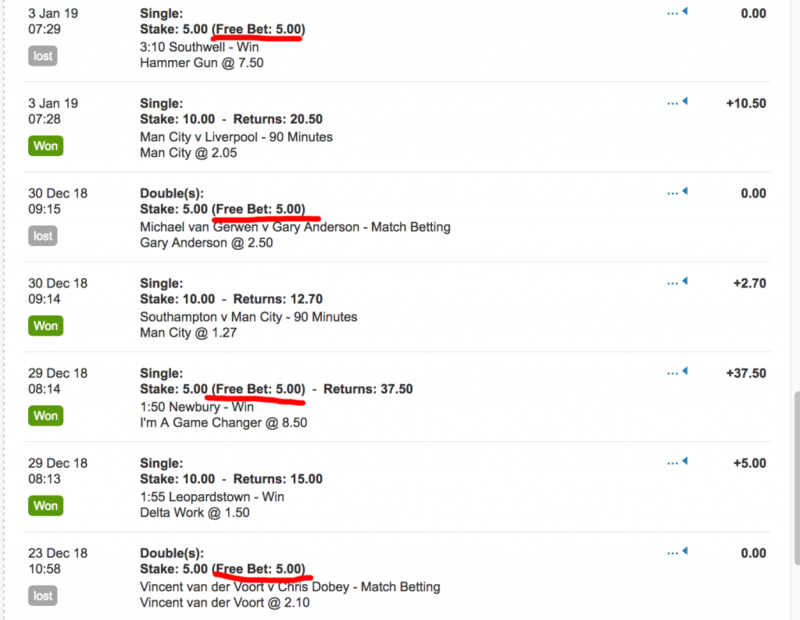 That will give you a loss between 50p – 80p per bet. It’s a bit frustrating that there can be liquidity issues. You won’t have any problems with the ITV races. Best thing you can do is get the bets placed early afternoon as quickly as possible. Try to do as many races as you can so you aren’t spending all afternoon placing bets.